The dainty pair of drop earrings is great to lift the mood. 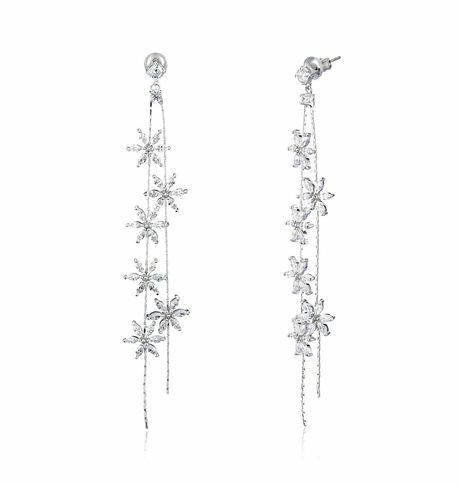 Delicately crafted and embellished with cubic zirconia stones, the floral strings go well with any attire. The dainty pair of drop earrings is great to lift the mood. Delicately crafted and embellished with cubic zirconia stones, the floral strings go well with any attire.Cancellation and Return Policy: • Exchange allowed post booking • No order cancellation or Refund transaction allowed at the store.